On 22nd May, WWE aired the 1252nd episode of Monday Night RAW live from Van Andel Arena in Grand Rapids, Michigan, with Bray Wyatt vs. Roman Reigns getting Teddy Longed into Wyatt & Samoa Joe vs. Reigns & Seth Rollins and Matt Hardy taking on Sheamus with the opportunity to choose the RAW Tag Team Championship match stipulation for Extreme Rules on the line, as well as appearances from The Miz, Kurt Angle, WWE Intercontinental Champion Dean Ambrose, Paul Heyman and Sasha Banks. But was it any good? Let's take a look. The show began with a recap of Kurt Angle making a Fatal Five-Way bout with Roman Reigns, Samoa Joe, Seth Rollins, Bray Wyatt and Finn Balor for Extreme Rules. After a cool moment of Bray Wyatt's signature effect breaking through the recap package and moving straight into Wyatt's entrance at the Van Andel Arena, Wyatt provided our first promo of the night. You can always rely on Bray to bring complete commitment and tonnes of energy to his work on the mic, so it makes sense to utilise him at the top of the show to grab the live crowd and draw the home audience in. I could give or take the content of the promo, which saw Wyatt addressing Universal Champion Brock Lesnar, claiming that the crowd were slaves of the beast and it was Wyatt who would set them free. A Wyatt v Lesnar programme has potential and I guess all five Fatal Five-Way competitors have to set something up with Lesnar "in case they win" at Extreme Rules, but without Lesnar present it's difficult to get particularly into anyone's words at the moment. When Wyatt shifted onto old rival Roman Reigns things got more interesting and the word painting more vivid with Bray professing "What is one silly little yard mean to a man who owns the world?". Reigns quickly answered Wyatt's words and after a short dialogue, RAW General Manager Kurt Angle arrived to book the match to happen next. The bout didn't last long at all, before Samoa Joe attacked Reigns leading to the disqualification. The few minutes of wrestling was relatively stereotypical fare for the two, featuring plenty of clubbering and big lad strikes. The five minute bout could very well have been a portion of any match the two had during their feud during the second half of 2015 and as someone who enjoyed their matches, I appreciated watching these two chuck each other about for a little while. The DQ finish with Joe walking down the ramp and then locking Reigns in the Coquina Clutch was a little lame, but we've got a Five Way to push so was to be expected. To push the unpredictability (and ironically in quite a predicable fashion) Joe also locked Wyatt in his submission. The crowd was pretty hot for Seth Rollins making the save and getting into it with Joe and we close with Rollins and Reigns looking awkward with each other in the ring as Joe and Wyatt retreated. Kurt Angle did a delayed Teddy Long, telling Reigns and Rollins backstage that they'd face Wyatt & Joe later on tonight in a TAG TEAM MATCH, before putting Elias Samson in a match with Dean Ambrose after The Drifter did some drifting. Akira Tozawa picked up a swift victory of Ariya Daivari with a stunning diving senton. They did strange thing of having Michael Cole interview The Brian Kendrick mid-match, with Kendrick staying backstage instead of joining the commentary team. Alicia Fox and Noam Dar interrupted Sasha Banks during an interview with Charly Caruso. After Elias Samson had manged to get a decent bit of heat with his guitar playing hipster act, his debut match with WWE Intercontinental Champion Dean Ambrose was a tepid affair. Samson controlled most the match, with brawling offence and wear-down holds, leaving very little to get excited about. A knee on the apron and Ambrose diving off the top rope into a jumping knee from Samson were the highlights and even those didn't look particularly impressive. The bouts strongest assets were Ambrose's selling, as he looked good when scrapping from underneath against the newcomer, as well as part of The Miz's commentary when he wasn't getting verbally bumped into by Michael Cole. This was the second high profile bout in a row with a DQ finish as Miz came down to the ring after an awkward Lunatic Lariat spot and put the boots to Samson. I'm not behind the gimmick for Miz v Ambrose at Extreme Rules, which will see Ambrose lose the title if he's DQ, so seeing them build it like this (especially after the early DQ) made me groan. It terms of quality this wasn't a great debut match from Samson, but he was booked strong, dominating the Intercontinental Champion and then jumping him from behind post-match. Big Cass found Enzo Amore unconscious backstage, before Kurt Angle promised that he'd "get to the bottom of this" as Amore was carried away by paramedic. Moments before Finn Balor's bout with Karl Anderson, Balor found himself face to face with Paul Heyman in a curious segment. Heyman initially interrupted a promo from Balor, by listing the four other members of the Extreme Rules main event and listing the ways in which Brock Lesnar would make them his victim. 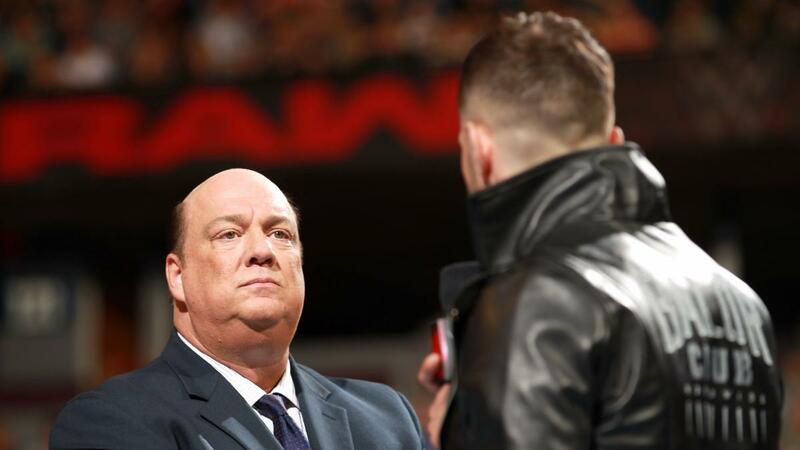 It was a deliberately placed promo as Heyman slowly walked to the ring, whilst Balor stood listening inside it, holding the interest because I couldn't work out exactly where it was heading or why it was happening. That was until Heyman began to heavily put over Balor and I mean put over as Paul laid it on thick calling Balor "the best in-ring talent in WWE today". It was certainly an interesting way of putting Balor over and having Heyman push him as the only potential threat to Lesnar's title will do the Irishmen no harm. The live crowd seemed to lap it up, especially at any mentions of the "Balor Club", but for me the segment felt a little ham-fisted as it hit us over the head with it's aims and more or less signposted that Finn won't be winning at Extreme Rules. If Heyman's promo was all about pushing Finn Balor, this bout was the physical continuation of that promo. The bout wasn't exactly a squash, as Anderson looked competitive and got a decent near fall off a Spinebuster, but it was clear that with The Club not really doing anything at the moment that this bout was all about making Balor look great. In that aim alone the bout did it's job, as the final flurry with Finn nailing a tope conhilo onto Anderson and Luke Gallows, a slingblade, running front dropkick and Coup de Grace, made Balor look like a world beater, especially because Anderson had previously been presented so strongly. The rest of the bout featured a couple of slick back and forth sequences that showed the pairs familiarity (alongside their BULLET CLUB days, they've also had a run together on the recent European tour) and I got the feeling that under different circumstances Balor and Anderson could've put together something special. 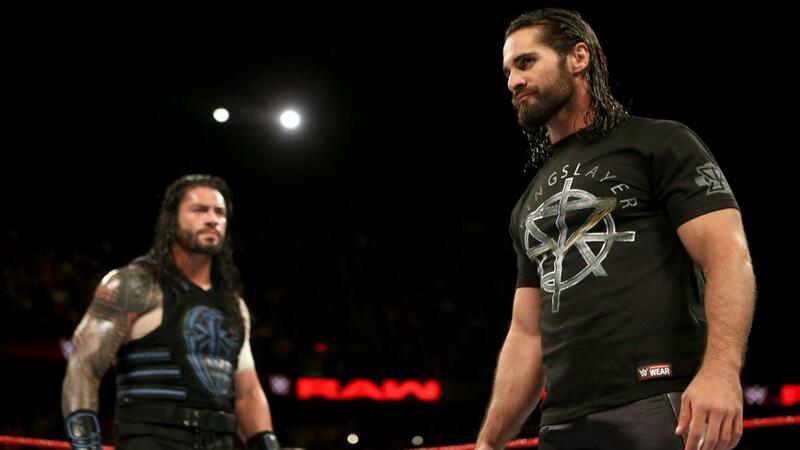 There's a parallels to be drawn between this bout and how The Club's mini-feud with Roman Reigns back in February was handled, with this style of match being much more effective in making someone look exceptional, as opposed to the Two-on-One Handicap bouts with DQ endings that the Big Dog got. It appeared that Sasha Banks had the difficulty set to "Easy" as she managed to defeat Alicia Fox using a signature move in minutes. The match was going fine up until the point Banks won with her diving double knee drop with Fox trapped in the turnbuckle, with The Boss opening things off hot as she locked in the Banks Statement. Noam Dar providing the distraction for Fox to take control looked like it could drive the rest of the bout and we might finally get to see these women go longer than three minutes, but then it was done. The post-match angle with Banks slapping Dar before Fox attacked her rival, finishing up with an Ax Kick would've felt cooler if we hadn't already seen the pair wrestle sub-three minute bouts three weeks in a row on TV. Fox and Dar kissing over a broken Banks (who sold the Ax Kick like a gun-shot) was a nice moment and with the right treatment, there's potential for Fox and Dar to get over huge as more than just a cult thing. Kalisto and Apollo Crews had an awkward chat backstage, before Titus O'Neil turned up and booked a match between the two, because he has those powers now. Goldust cut a funky promo about lights and gold, after his attack on R-Truth last week, although some of the impact was lessened by WWE having Goldie's theme playing throughout the whole thing. Alexa Bliss continued her hot streak of promos during an interview with Charly Caruso, refusing to feel bad for her Kendo Stick attack to Bayley a week earlier, seemingly relishing in describing the moment. A replay of Roman Reigns attacking Braun Strowman two weeks ago, supposedly to keep Strowman in the fans minds until he returns. Kalisto defeated Apollo Crews after Crews' got distracted by Titus O'Neil hamming it up at ringside. The bout did very little for anyone, as The Titus Brand thing continues to feel directionless, although the finish was sweet as Kalisto was able to hit Salida del Sol from a seated position. After taking a while to get going, Matt Hardy's victory over Sheamus became a decent TV bout, as The Hardy Boyz remained undefeated since their return. The two seemed to struggle to finding their footing early doors, looking to be half a step or so off the pace needed, but were received well, most likely because this was Hardy's first bout in Grand Rapids for seven years. The pair built a simple story of Hardy looking to hit the Twist of Fate multiple times, only for Sheamus to escape, meaning that when Sheamus walked into the move after being distracted by Jeff Hardy jumping off the apron onto Cesaro, it was satisfying for the viewer at home and got a big reaction from the crowd. Whether having The Hardy Boyz almost constantly getting one over Sheamus & Cesaro has been a questionable choice, but if the Extreme Rules bout is handled correctly then it could pay off. Talking of that match, Matt chose a Steel Cage bout for the PPV, which Sheamus & Cesaro sold like it was the end of the world. These four men in a cage has a lot of potential, for both storytelling and highspots, with memories of the Hardyz stepping into the cage with Edge & Christian (Unforgiven 2000) and the Dudley Boyz (Survivor Series 2001) coming to mind. ICYMI - The conclusion of Bray Wyatt vs. Roman Reigns was replayed. On it's own, Austin Aries victory over Tony Nese wasn't much, nothing technically wrong, but not a whole lot to show about either. However, when taken as part of the wider story being told between Aries and Cruiserweight Champion Neville, it featured some nice narrative advancement, which can be few and far between when a rivalry has gone as deep as this one. The story of the bout with Aries looking to overcome the knee injury inflicted by Neville last week, initially struggling to lock in the Last Chancery, didn't get fleshed out too much, but it did what it needed to do and laid some building blocks for the Submission match between Aries and the champion at Extreme Rules. I got a kick out of the finish with Aries quickly transitioning from a guillotine choke into a Last Chancery, as after Nese lasted for sometime in the choke, he tapped almost immediately in the chancery. Neville jumping Nese post-match and locking in the Rings of Saturn added more fuel to the fire, as both champion and challenger continued to build momentum towards their blow off match. A quick victory for Bliss here, in front of a crowd that didn't seem all that interested in what the ladies had to offer. The pair killed the audience from the beginning doing a weird exchange of waist locks that was utterly unconvincing. From then until the finish there was very little to get into, with James' characterisation being all over the place. A forearm and a snap DDT got Bliss the win in the best action of the match. The post-match angle did manage to rouse the crowd as Bayley came out to make the save after Bliss nailed James with a kendo stick. Bayley still being unable to get any revenge on the attack from Bliss last week is a nice thread for the women to pull through to their Kendo Stick on a Pole match at Extreme Rules. I'm still not sure why it has to be on a pole, but it is. After a lacklustre show, the main event provided a much needed boost as four top tier talents put on a bloody good tag bout to close the show. The foursome stuck to your basic tag team structure, with a Rollins face shine, Reigns slotting into the Big Dog in peril role, with Wyatt and Joe grounding him and being big bruising bastards, into a wicked hot tag sequence to Rollins, before some miscommunication allowed Joe to lock in the Coquina Clutch and send the Kingslayer to sleep. There was nothing groundbreaking, but all four guys knew what story they were telling and told it bloody well. The narrative of The Destroyers of Worlds (my new cute name for Joe & Wyatt) being able to put their differences aside and work as a team, whilst Reigns and Rollins competed as two separate entities was made clear from the start as Rollins refused to let Reigns start the match to scrap with Wyatt, whilst the heels attacking as a pack was the start of all their periods of dominance. The finish riffed off the bouts story, with Joe dodging a Superman Punch leading to Reigns clattering into Rollins and whilst the former WWE Tag Team Champions argued, Wyatt pulled Reigns to the outside, with Joe stalking Rollins before locking in the victory clinching Coquina Clutch. It wasn't clever or flashy, it was just the logical conclusion. The victory gives Joe & Wyatt some momentum that they needed heading into Extreme Rules, whilst Reigns and Rollins have their miscommunication and mutual dislike as a get out clause for the loss. It'll be interesting to see if Wyatt and Joe's partnership is used in the Five-Way as the two joining forces to kick some arse for a bit, before throwing bombs at each other, has the potential to drive such a match. The show closed with Kurt Angle watching at an angle and interruption from Finn Balor resulting in Balor getting a triple threat with Joe and Wyatt next week, as well as a Reigns v Rollins match getting booked. Can't complain with those two bouts on the go-home show for Extreme Rules! 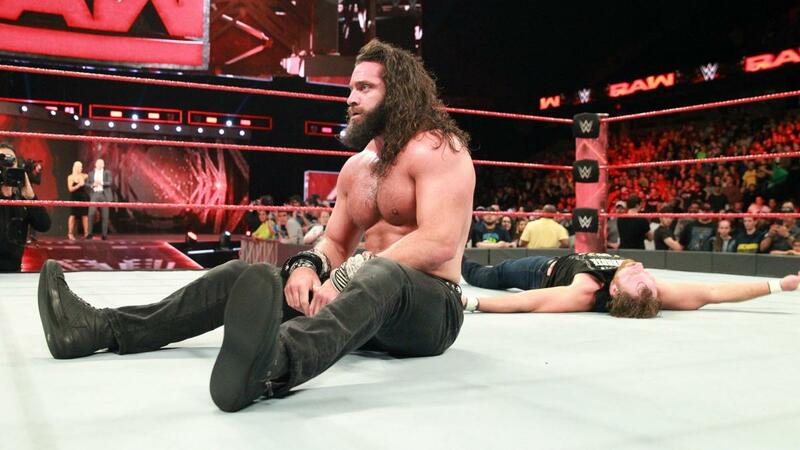 There seems to be a lot going on RAW at the moment, but the majority of it isn't getting the time to breath and that was the main problem with this episode for me. The opening segment, Matt Hardy v Sheamus and the main event were the only portions of the show that grabbed me and it's not surprise that these were the three longest segments on the episode. Both Women's matches were poor, with both feeling rushed, whilst Elias Samson v Dean Ambrose didn't do a whole lot for me either. Almost every story that isn't the Extreme Rules main event feels samey, under supported and has a general feel that there's a lack of effort, mainly from creative but from some of the talent also. The Braun Strowman injury has obviously caused issues with creative plans and cannibalising two feuds in Balor v Wyatt and Joe v Rollins to give Reigns something to do (despite those segments being the strongest on the show) has left RAW lacking depth as the post-WrestleMania holding pattern has well and truly taken hold.